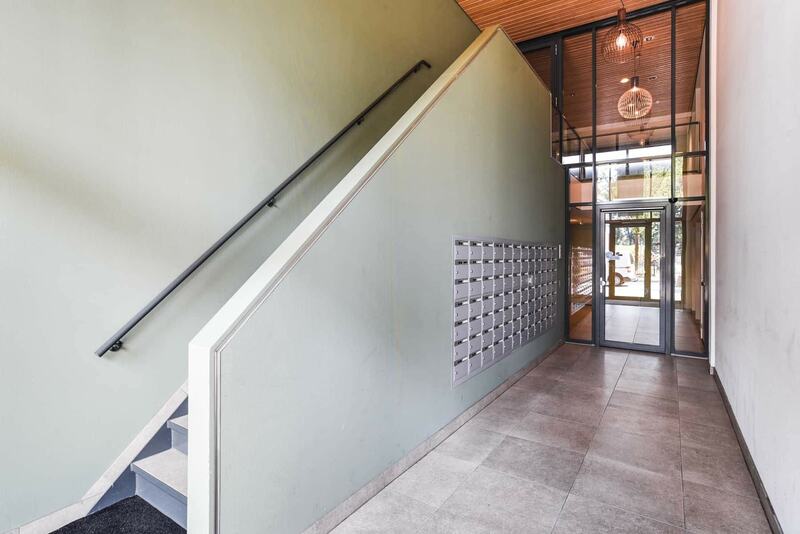 Turning the key, putting down your very own furniture and relaxing the day away: moving to a brand new, tailor-made, turnkey apartment on a easily accessible location in Delft. Sounds nice? This is living above De Hoven, the newly-built tower located above the shopping mall De Hoven. A housing project which we have started to satisfy all living requirements of the modern era: luxury, convenience, comfort and safety – all of the highest standards. This ultra-modern residential tower is made up of two towers of 12 floors. Due to the explosive interest in Tower 1 we have recently started construction on Tower 2; which will be ready for residential use by late 2016/early 2017. 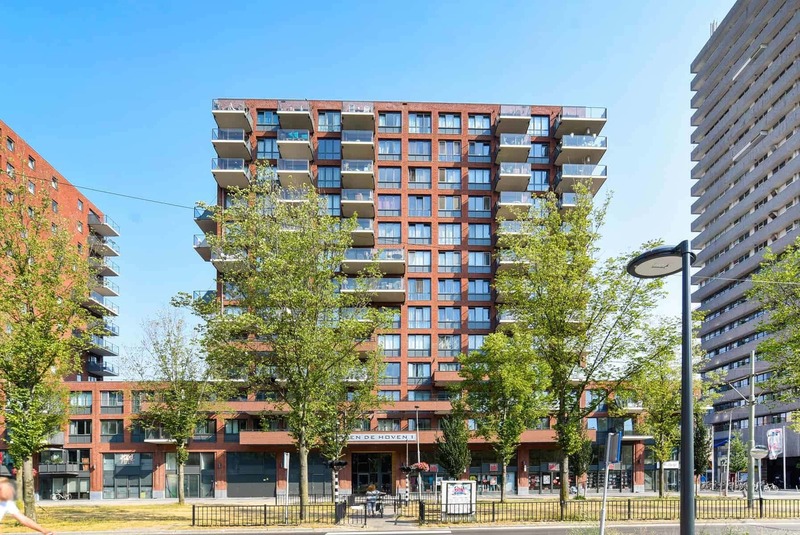 Tower 1 has 83 apartments for sale and rent while Tower 2 features 88 completely finished apartments for rent only, which are available starting from as low as € 720, – per month. Brand new, tailor-made and turnkey. What do these terms mean for you? De Hoven is being constructed as we speak, meaning you will be the very first occupant of a brand new apartment. Turnkey construction such as De Hoven means that you won’t have to do any of the jobs yourself; we install your flooring, we paint your walls. You will be given the choice of colour for your laminate flooring, which bathroom tiles and even the kitchen cupboards that match your style. In short, we custom make your home tailored towards your personal wishes with the highest quality finishing. All you need to do is move in! Comfortable living is only achieved when you can feel safe in your own environment. 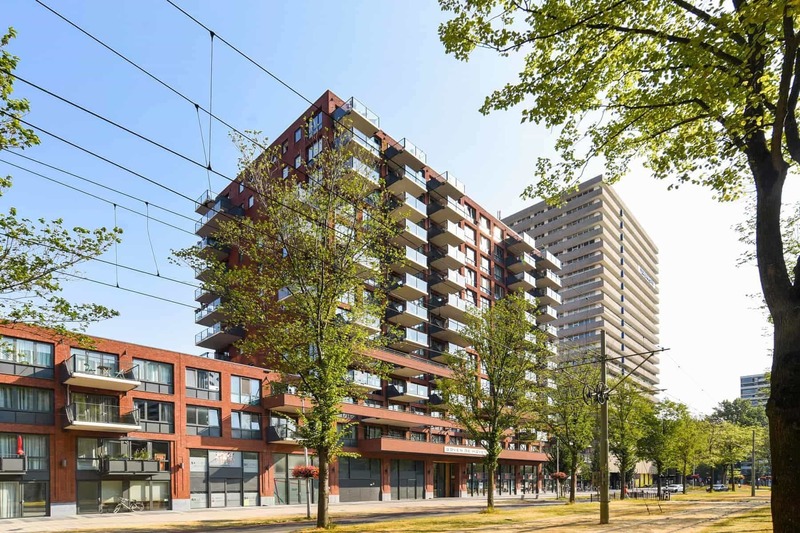 The residencies of De Hoven meet the highest of safety requirements; energy efficient, videophone entry accessibility, police certified Veilig Wonen alarm systems and excellent soundproofing. You have access to a private storage room, an enclosed bicycle shed and you could opt to rent a parking space in the secured parking garage. What do we mean by the convenience of living above De Hoven? 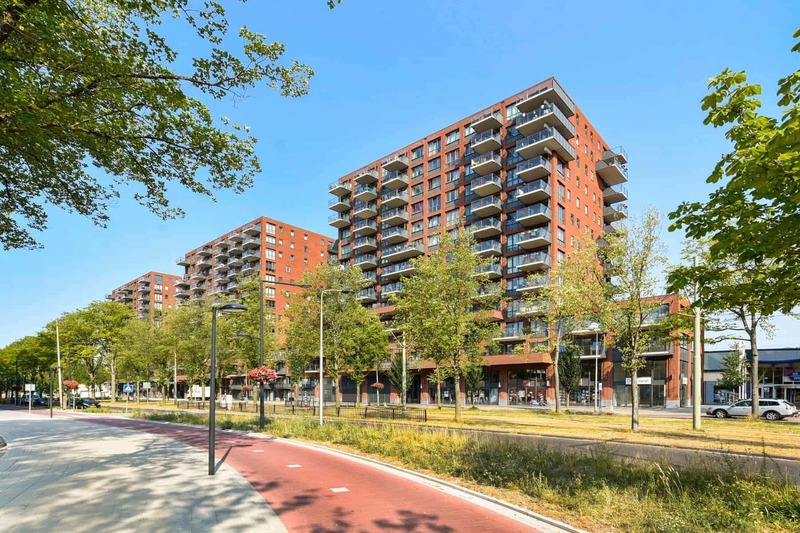 Your front yard is the heart of Delft, your backyard consists of connecting main roads (between highways A4 and A13) and public transport stops right at your front door. Need a cup of sugar? Forgot to buy a birthday present? No problem, your residency is located above a state of the art shopping mall. Price € 750 - 800,- p.m.
Sign up for housing is free and simple via our website. For questions about this property you can contact Q-makelaars via 015-20 23 040. Van der Vorm Vastgoed Group has taken the utmost care in constructing its website. However, there can be no rights derived from the content of this website. Van der Vorm Vastgoed Group holds no liability for any omissions or inaccuracies in the information, or for damages or other types of consequences arising from or related to the use or non-availability of the information on this website.